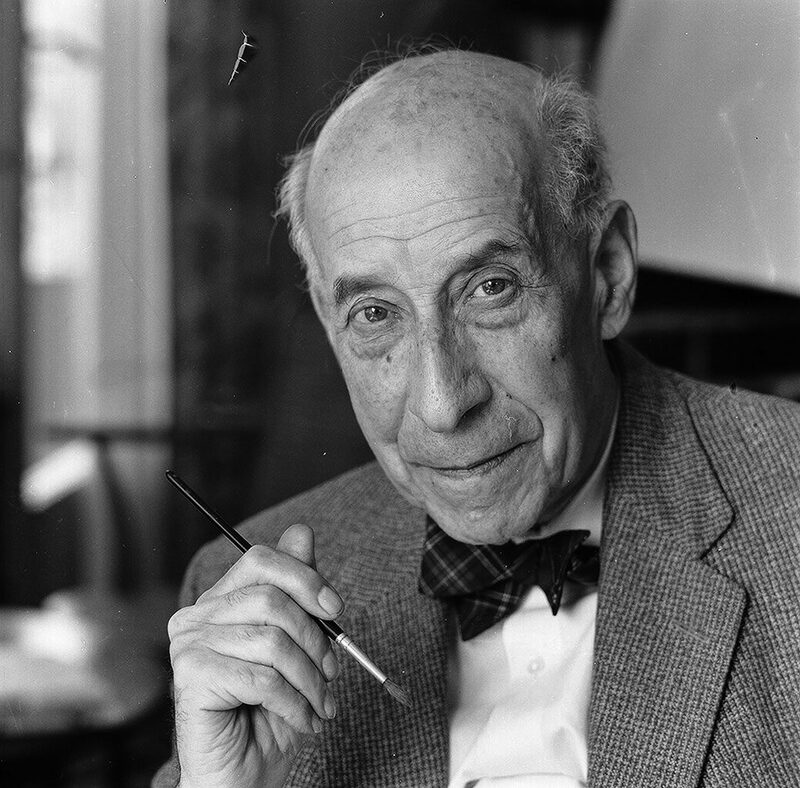 Josef Frank was a true European, he was also a pioneer of what would become classic 20th century Swedish design and the “Scandinavian Design Style”. Austrian- born Frank started his design career as an architect after having trained at the Technische Hochschule in Vienna between 1903 and 1910. After his training he went on to teach at Kunstgewerbeschule (The Viennese School of Arts and crafts) where he developed and espoused the new school of modernist thinking towards Architecture and Design that was coming to fruition in Vienna at the time. He also went on to lead the Vienna Werkbund throughout the 1920s. This was a truly progressive group of Architects and Designers who set about improving the daily lives of Austrian people through modernist design and architecture in partnership with Arts and Crafts ideals and construction. Frank’s leadership of the Werkbund had already cemented his place at the forefront of European design. Frank’s time in Vienna was typified by his design for the “Die Wohnung” exhibition of the Deutscher Werkbund in Stuttgart, 1927 where he exhibited along side his contemporaries at the forefront of design, such as the likes of Le Corbusier and Walter Gropius. Here he showed a specially designed pair of flat-roofed reinforced concrete houses in what is now seen as a typical modernist style. What separated Frank’s house from the other 32 houses of the exhibition was the interior and furniture inside the building. It was described as “Neo-Classical” and filled with an eclectic mix of period pieces, modern design and pieces designed by Frank himself that seemed to cross the two worlds. This was a complete opposite direction to that which his fellow Architects were travelling in with their pared back and angular aesthetics. Frank said of his own work: “The house is not a work of art, simply a place where one lives,” and by this reasoning Frank rejected the regimental mechanisation of the living space that his contemporaries believed in, instead he set about creating congenial and spontaneous interiors. Frank’s practice saw him placing the bright colours and the soft forms of nature back into the furnishings and interiors that he thought modernism sorely mist. Frank, along with Oskar Walch set up Haus und Garten in Vienna in 1925. This was Frank’s first commercial foray into furniture and home furnishings and the company went on to become the most influential furnishing house in Vienna with a riotous depth of colour and interesting shapes becoming the trademark of their design. However this success was to come to an end with rise of Nazism in Vienna in the early 1930’s. Frank was Jewish, and he and his wife Anna decided they would leave Vienna for her motherland: Sweden, in 1933. Frank continued to design for Haus and Garten, visiting Vienna occasionally and designing the pieces that would continue to be the company’s best sellers long after Frank was forced to hand the company over in 1938 after the Third Reich annexation of Austria. 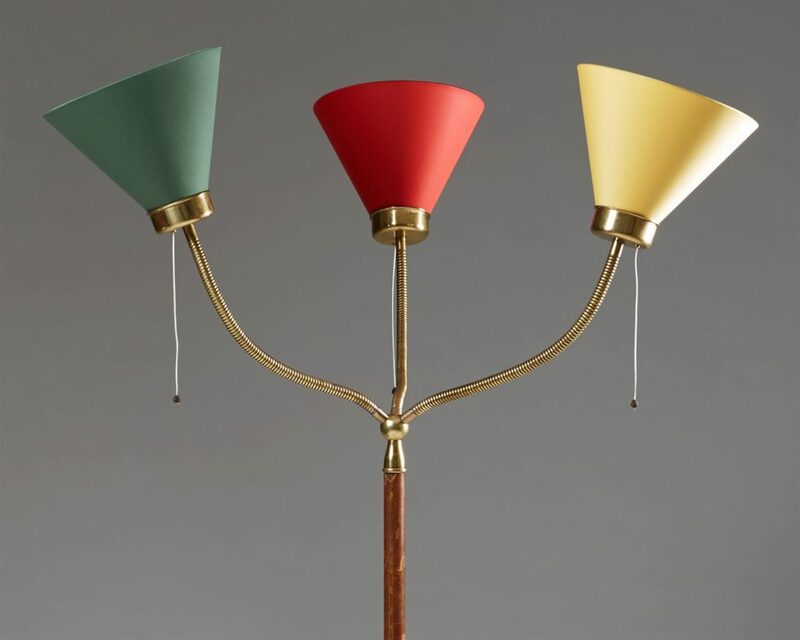 When Josef and Anna had moved to Sweden Frank had struck up a working relationship with Design shop owner Estrid Ericson. Ericson was the proprietor of Svenskt Tenn that at this point was a successful interiors shop in Stockholm with the royal warrant of appointment to the Swedish Royal Household. 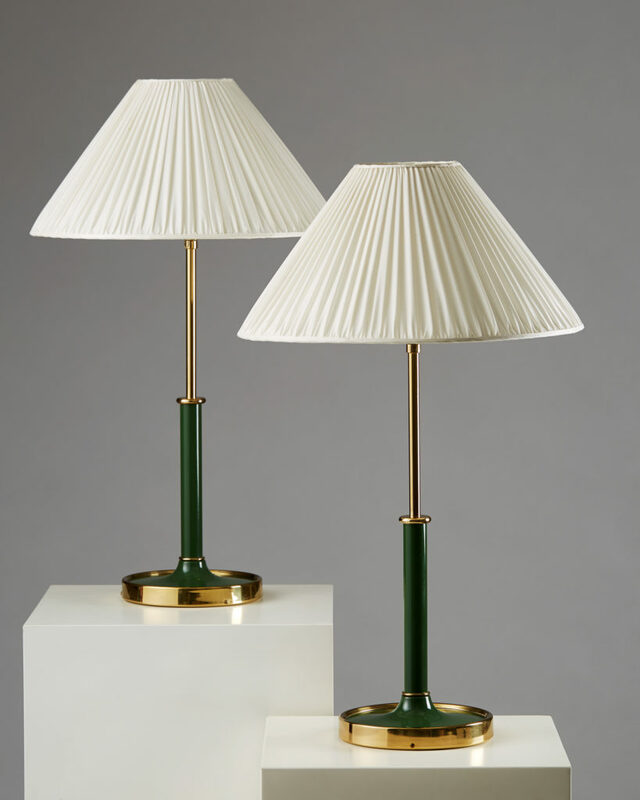 In 1935 Frank had become the chief designer for Svenskt Tenn and had set about putting all of his creative effort into his designs for the company. 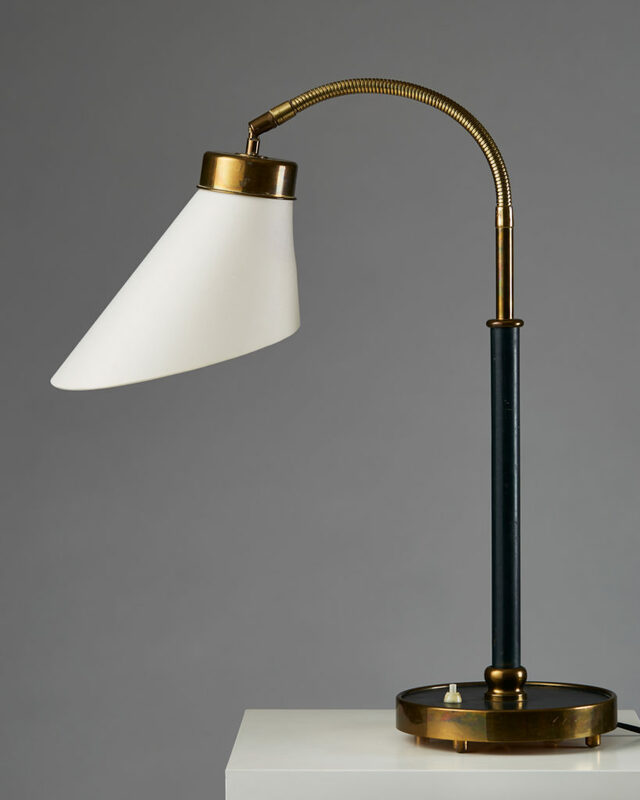 At the World Expositions in Paris in 1937 and New York in 1939 the world saw for the first time the wealth of products that Frank had been working on, ranging from candlesticks to cabinets, there was not a domestic object that Frank had not subjected to his colourful, comfortable and organic style of Modernism. Frank’s new school of Modernism championed ideas such as chairs having a freeing, open back and that “If one desires the room to be comfortable…all pieces of furniture should allow for a free view of the separating line between the floor and the wall. 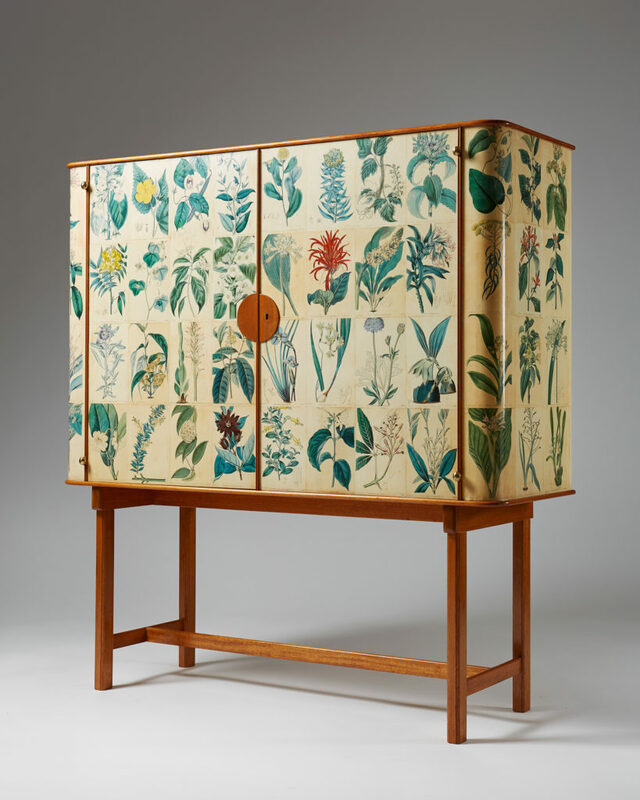 A cabinet without legs breaks this line and thus reduces the feeling of space.” A world-wide audience tired of classic Modernism’s furniture with solid planes and aggressive forms leapt upon these ideas and Franks natural and bright designs for Svenskt Tenn became internationally desired. 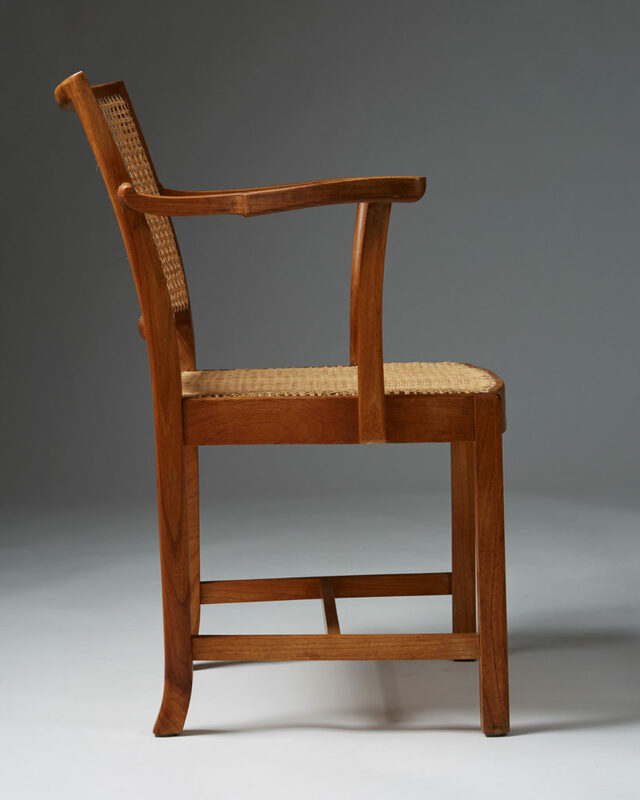 Frank created over 2000 designs for Svenskt Tenn and his products continue to be the core of their brand. 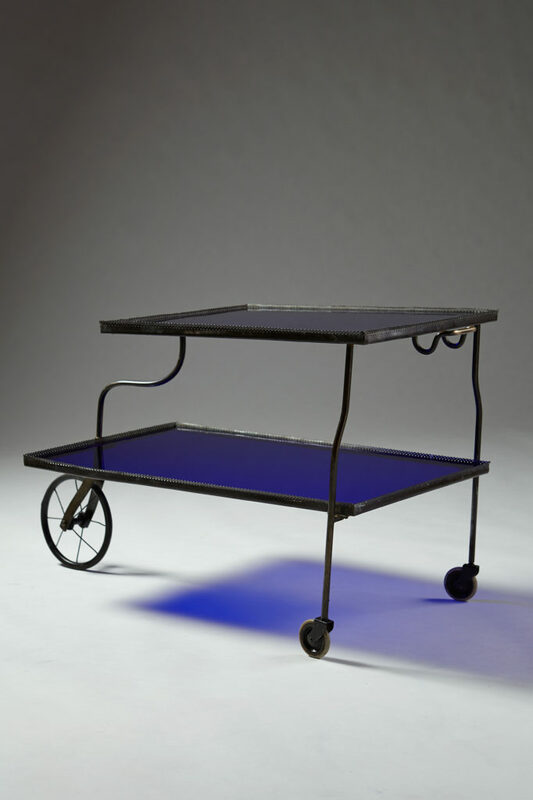 Frank’s rejections of tubular metal and heavy lacquers within his furniture have insured his unique light form of Modernism continues to influence and flourish today. His natural toned mahogany and walnut pieces along with his tactile leather covered and brightly shaded lighting still bring the forms of nature back into the home. 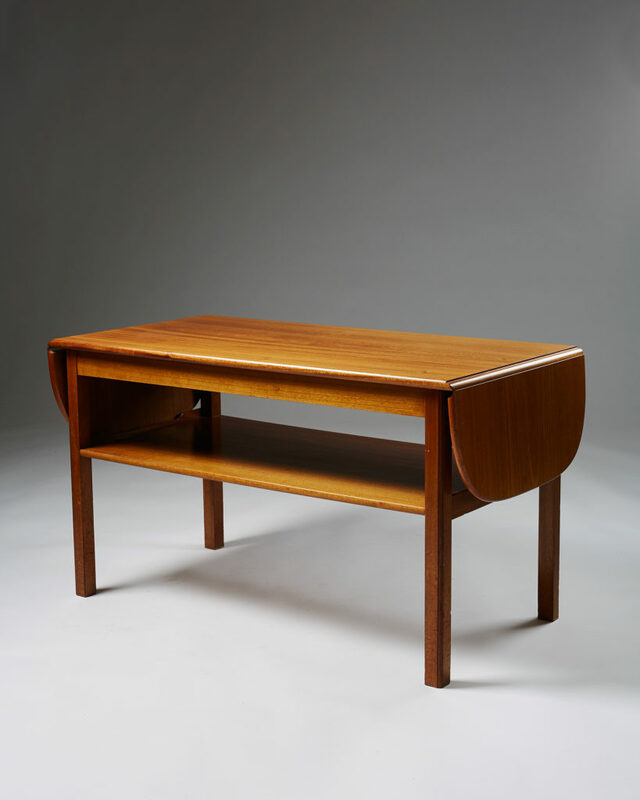 Original Frank pieces are now increasingly rare, highly desirable and are the epitome of “Scandinavian Design”. Renowned Designer and Academic Isle Crawford says of Frank: “His thinking on design was insightful, human-centred and extremely relevant for our times”. 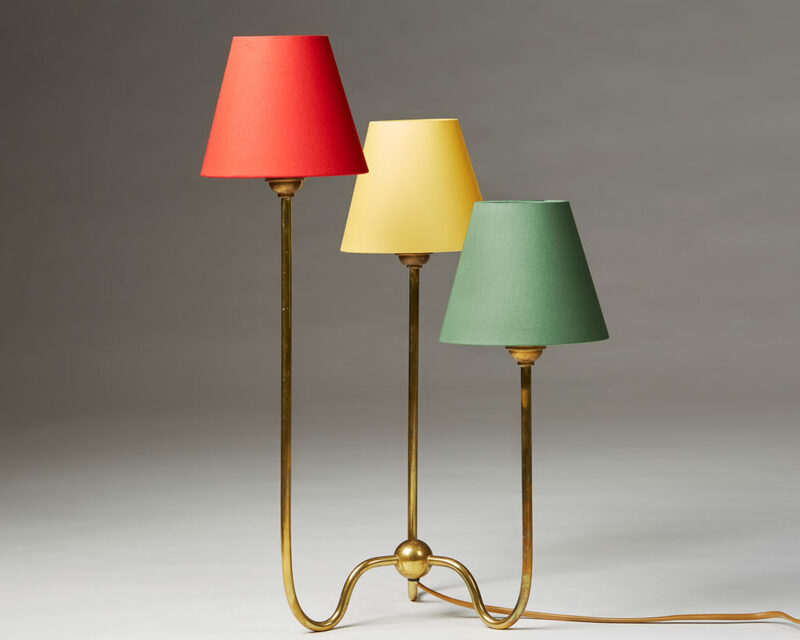 Indeed in the contemporary design world his fabric designs, lamps and furniture are held up by designers as inspiration and continue to be admired for their natural simplicity.